Ever think you could jog your way to a smaller carbon footprint? The new "Green Silence" sneaker by Brooks Sports allows you to do just that. For starters, the racing flat uses less than half as many parts as comparable shoes. Of the remaining components, more than 75 percent stem from post-consumer recycled sources, such as recycled compact discs for the heel counter, recycled water bottles for the lining and webbing, and recycled rubber for the outsole. Green Silence also boasts Brooks's biodegradable BioMoGo midsole, which the company says will break down 50 times faster than conventional midsoles in an active landfill. Injo Gunasekara, Brooks’s senior industrial designer of footwear, named the shoe for its eco-friendlier characteristics (“green”) and his belief that sustainability will soon become an expectation rather than a marketable product differentiator (“silence”). The shoe features nontoxic dyes, water-based adhesives, and 65 percent fewer volatile organic compounds. Three years in the making, the shoe features nontoxic dyes and colorants, water-based adhesives, and 65 percent fewer volatile organic compounds than its competition. The collar foam and sock liner, like the midsole, are also completely biodegradable. Even the packaging gives back: It’s made from 100 percent post-consumer fiberboard. Injo Gunasekara, Brooks's senior industrial designer of footwear, named the shoe for its eco-friendlier characteristics ("green") and his belief that sustainability will soon become an expectation rather than a marketable product differentiator ("silence"). Three years in the making, the shoe features nontoxic dyes and colorants, water-based adhesives, and 65 percent fewer volatile organic compounds than its competition. The collar foam and sock liner, like the midsole, are also completely biodegradable. Even the packaging gives back: It's made from 100 percent post-consumer fiberboard. 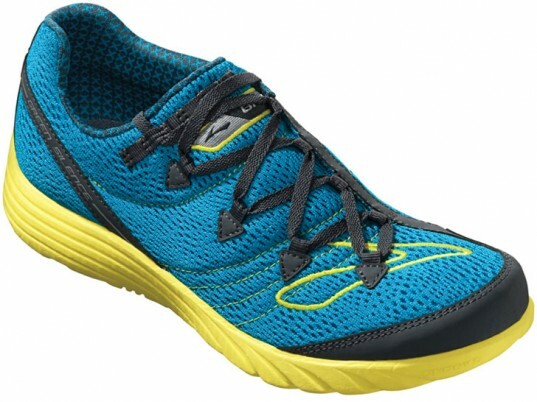 The result is a vibrant trainer that's built to last, combining durability, speed, and sustainability. 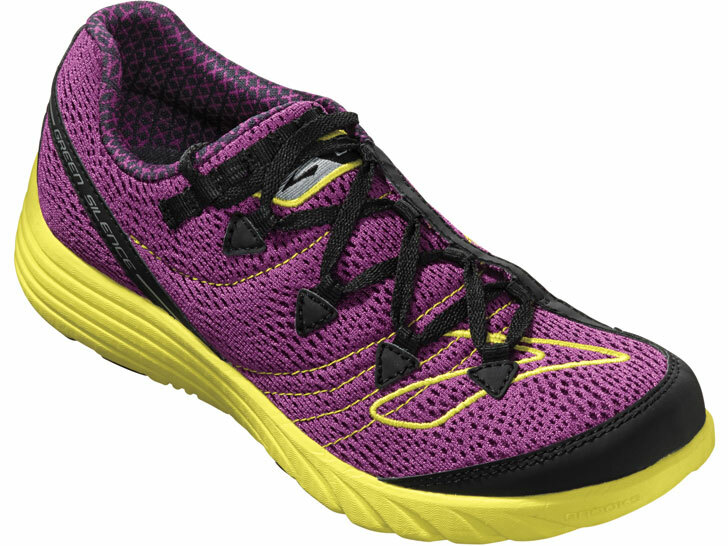 “We were told Brooks couldn’t build running shoes that feel great, perform great, look great, and support a healthier environment for years ahead,” says Derek Campbell, the company's future concepts manager. "We hope this shoe will serve as an inspiration to others in our industry and beyond."